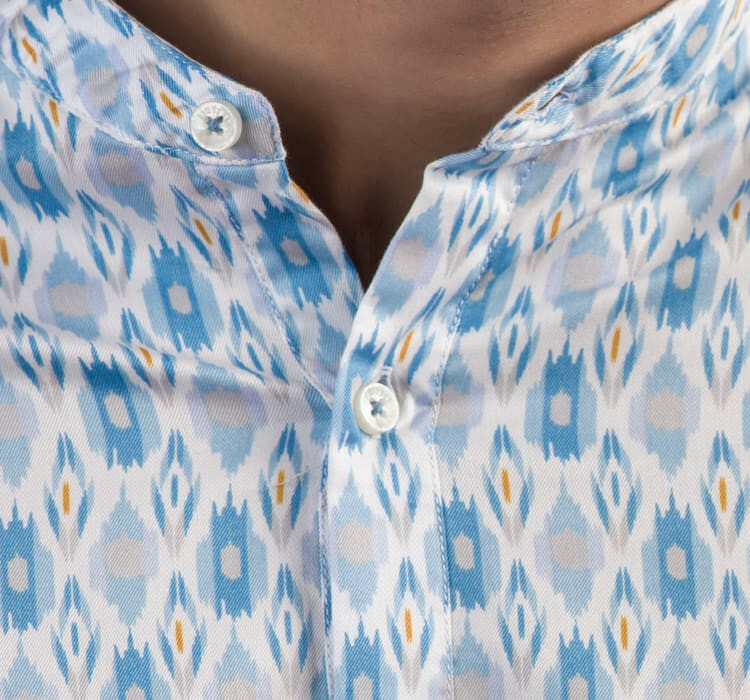 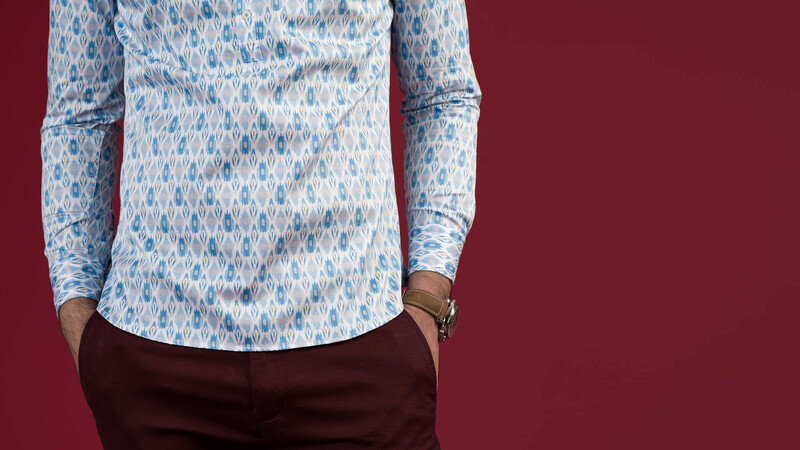 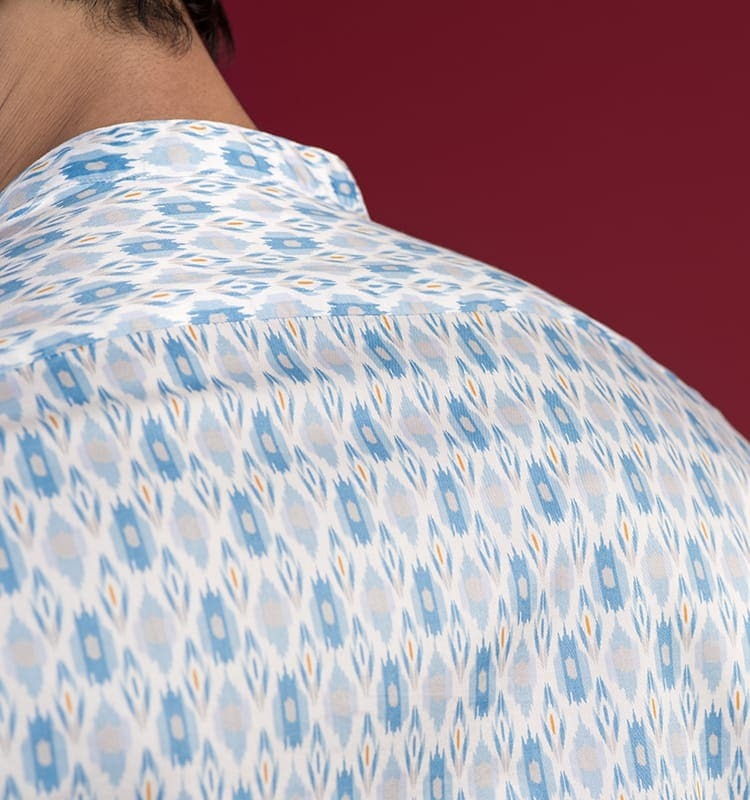 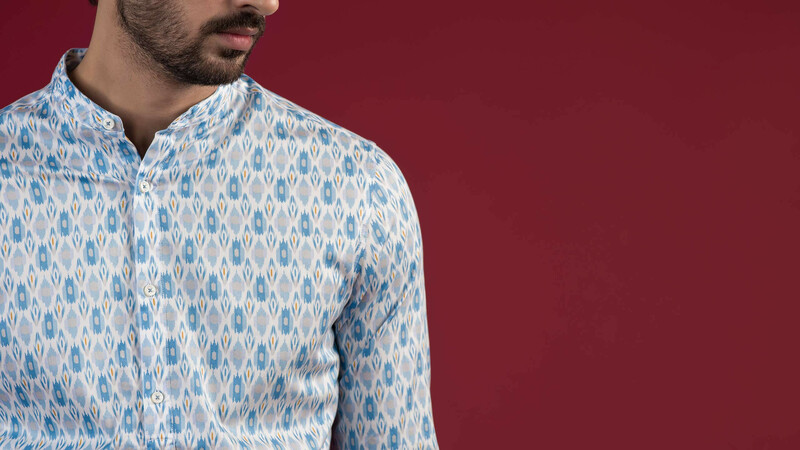 A fun, festive, ikat print shirt that simply elevates things to a whole new level. 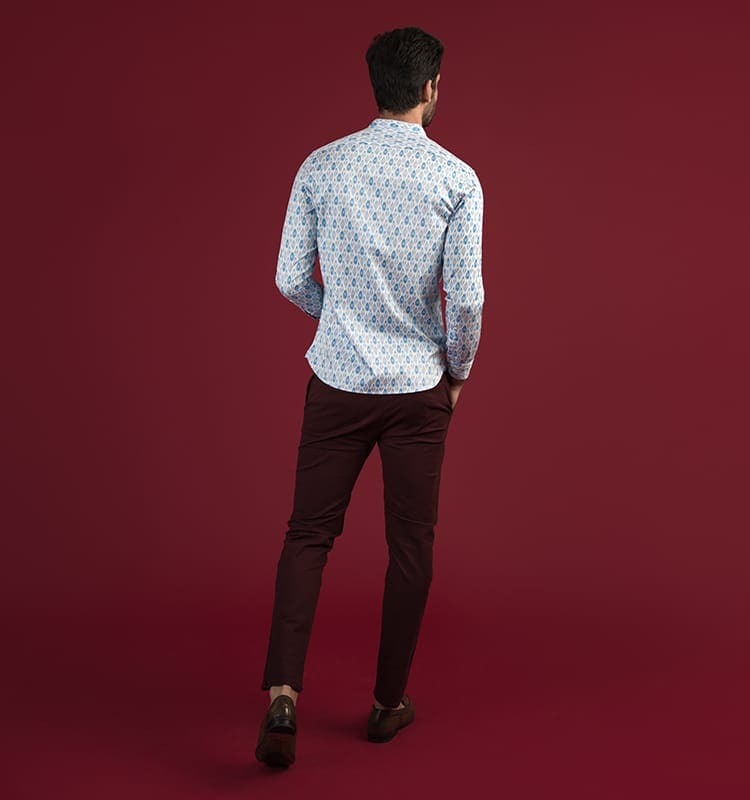 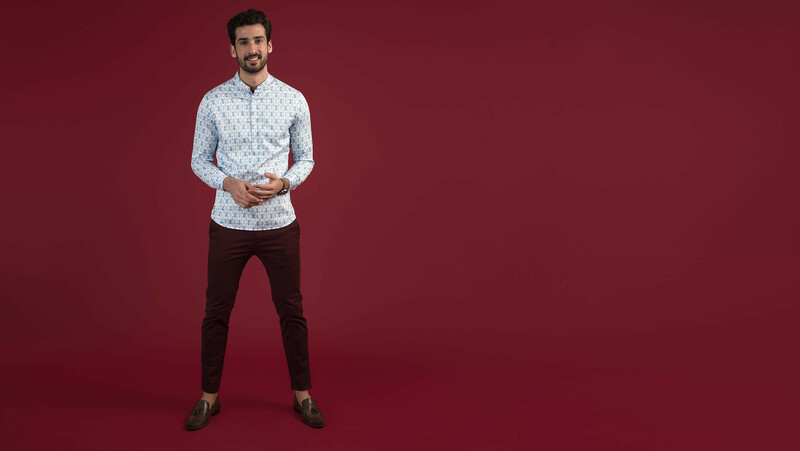 Blue and burgundy pair very well, and to keep up with the festive styling, pair it our way with burgundy chinos. 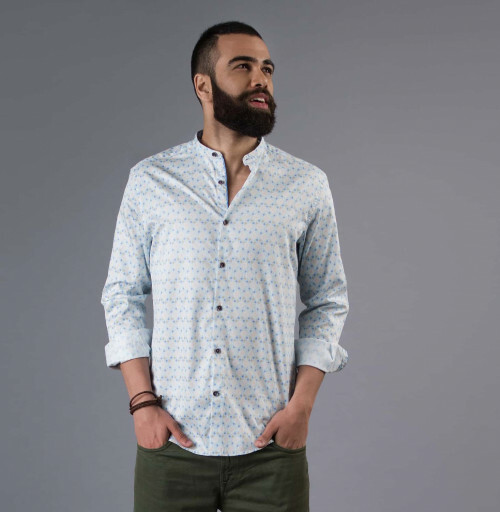 If you want to stick to tonal pairing, wear this shirt with well-fitted denims. 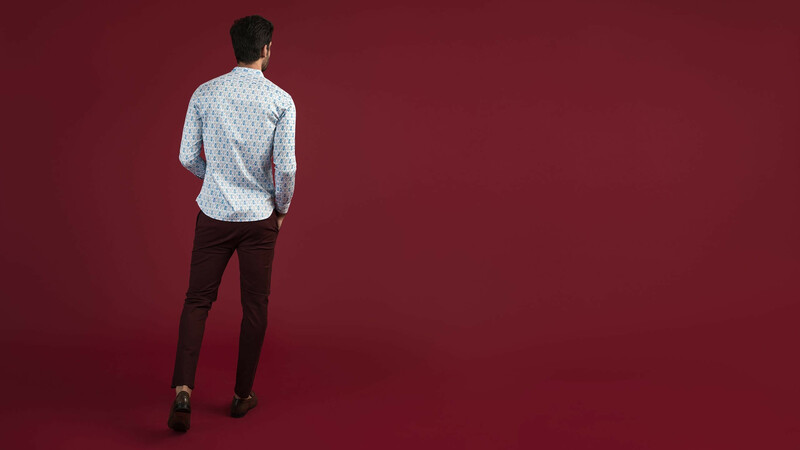 Either ways, the great news is that it doesn't need excess styling. 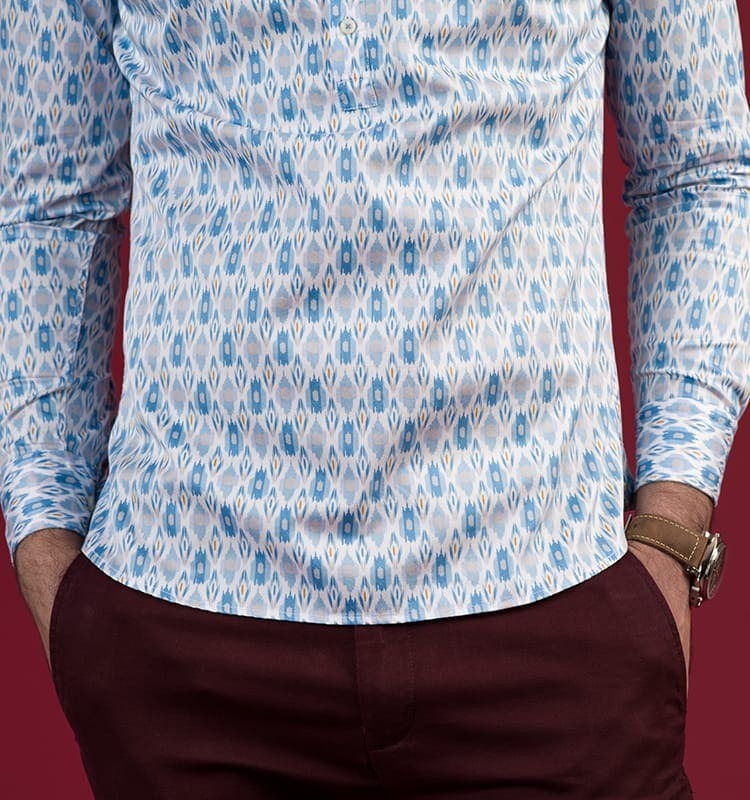 Let the shirt pop and keep the rest of the look basic. 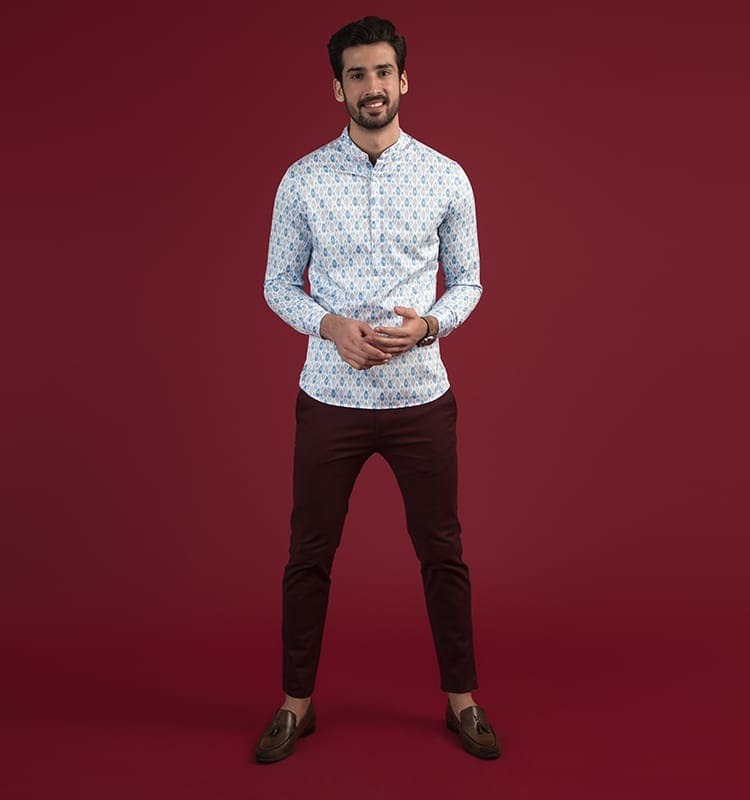 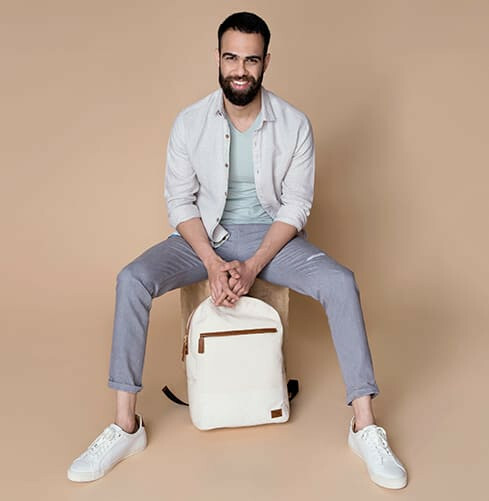 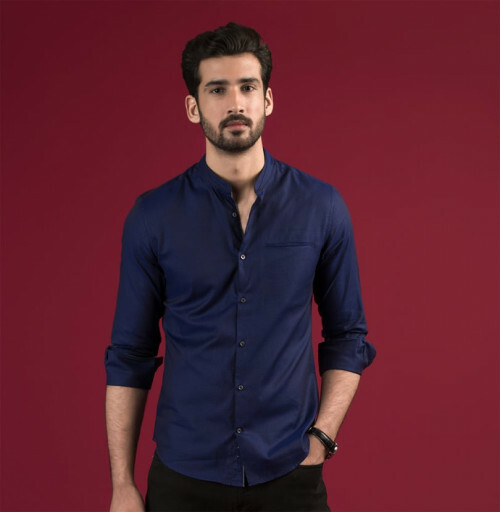 Our model is 6' 3", chest 40 and is wearing a Medium slim fit. 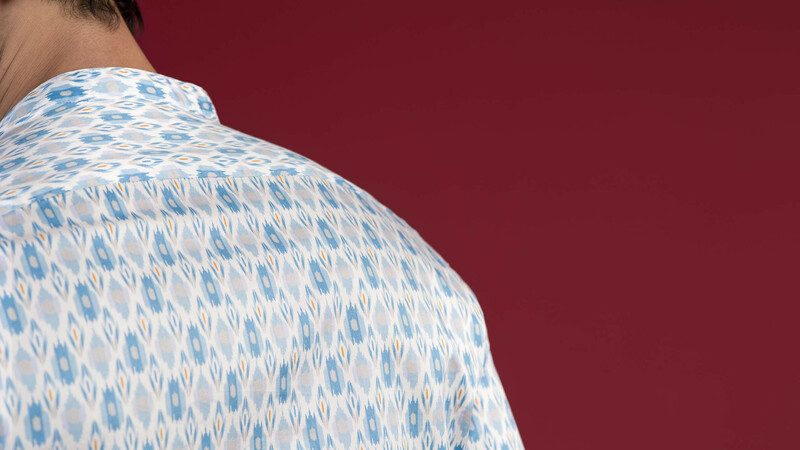 Woven from the world’s finest Egyptian Giza cotton that gives the shirt an incredibly soft and lustrous feel. 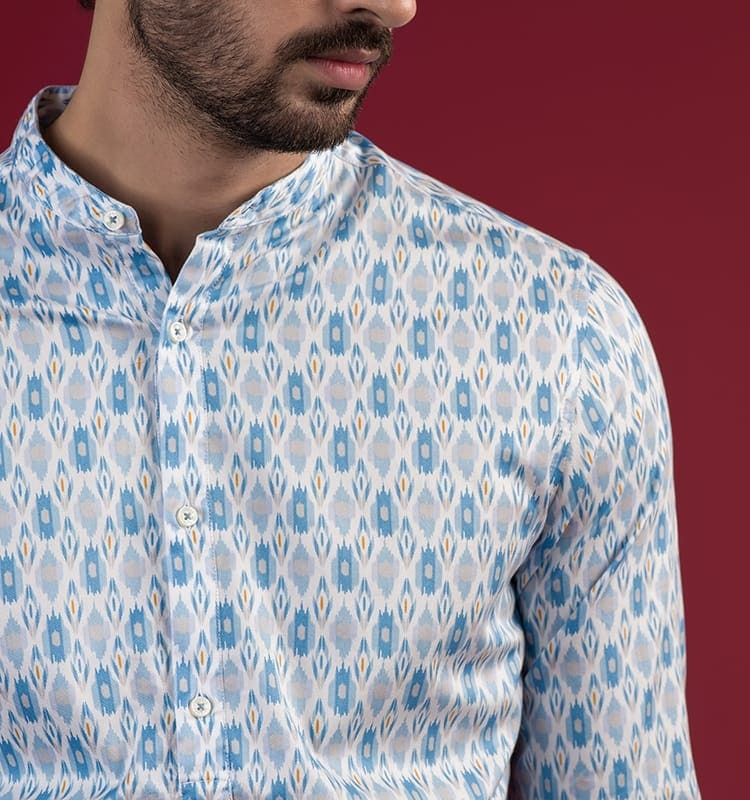 We make our shirts in yarn counts up to 2x times finer than market standards, carefully chosen to give the right luxurious appeal and appearance.